Polarizing microscope P400 series can observe mineral crystal figure, color and interference color and also identify its optical performance. 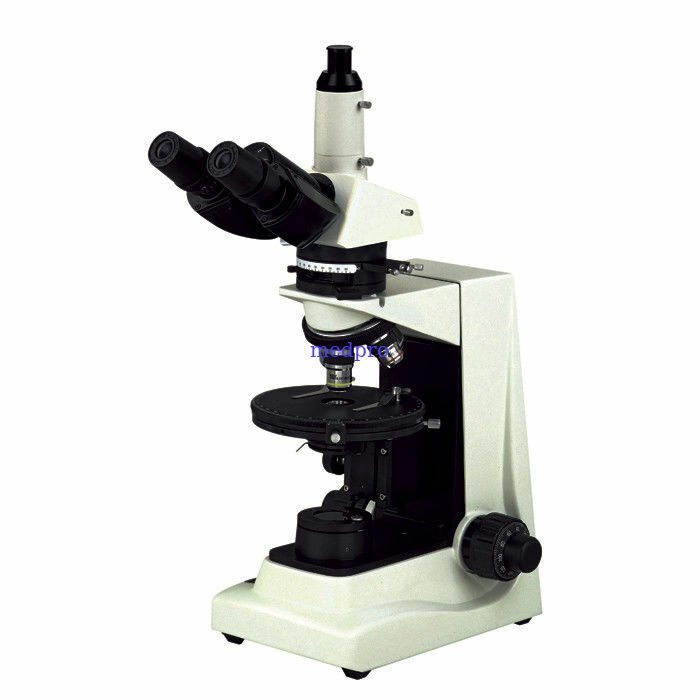 It is a good microscope used in geology, petroleum, coal, chemical fiber, medical treatment and physic inspection. It is widely used in academic demonstration and research. 0º-90º Rotatable Analyzer and When out of optical path, Single Polarizing Observation is Available. λSlip, 1/4λ Slip and Quartz Wedge are Equipped. Round Stage, Diameter ¢ 145mm, 360° Rotatable and Graduation in 1° increments,Minimun Resolution 6' When Using Vernier Scale, Center Adjustable.